Han expressed his gratitude for IBLAC members, who have made “great contributions” to make Shanghai a better city. 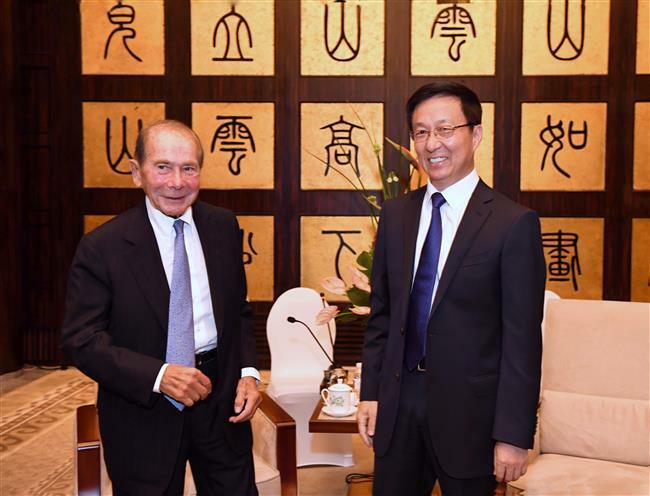 Party Secretary Han Zheng (right) poses with Maurice R. Greenberg, founder of C.V. Starr & Co Inc and retired as chairman and CEO of AIG. Greenberg was the first chairman of IBLAC. 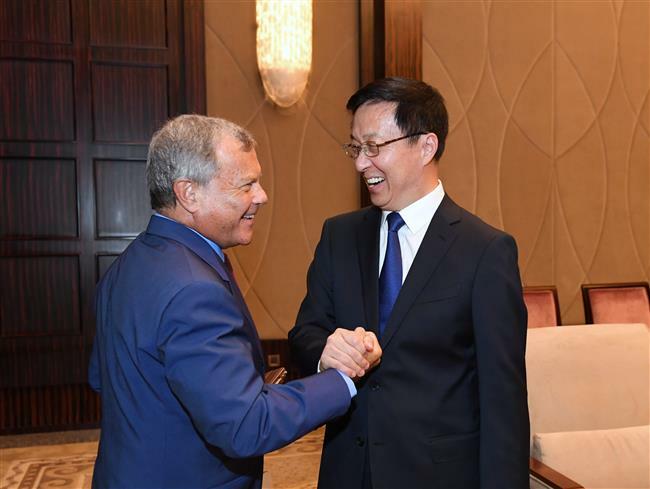 Party Secretary Han Zheng (right) shakes hands with Martin Sorrell, chief executive of WPP. Sorrell was a former chairman of IBLAC. 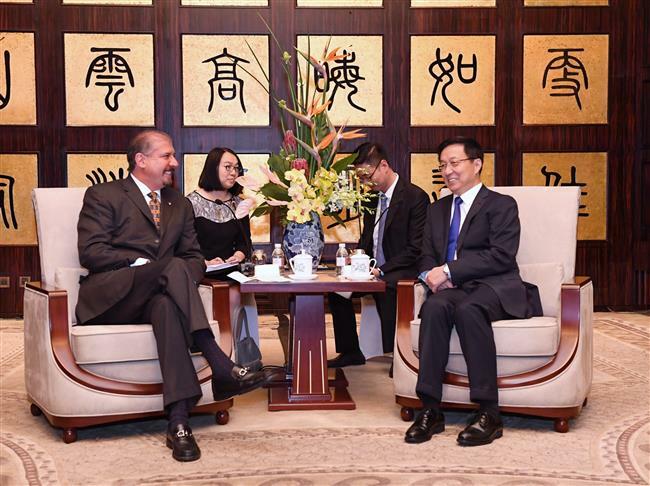 Party Secretary Han Zheng (right) shakes hands with Orit Gadiesh, chairwoman of Bain & Company. Gadiesh was a former chairwoman of IBLAC. "Towards a Global City of Excellence” – the theme of this year’s meeting of International Business Leaders’ Advisory Council – is of great importance for the city’s future development, said Shanghai Party Secretary Han Zheng when he met with some IBLAC members today. “Shanghai has seen rapid changes, and as a mega-sized metropolis, the city has to cope with challenges in areas like housing, senior care, population management and employment management,” Han said. “We should strive to keep a stable economic growth for a harmonious society, and help the city to get safer, cleaner and of better social order,” Han said. Shanghai’s ambition to become a global financial center requires it to attract more talent and absorb more international experience, Han said, taking the chance to express his gratitude for IBLAC members, who have made “great contributions” to make Shanghai a better city. Han wished a great success for the 29th meeting of IBLAC, which will take place tomorrow.